Coco Plum Island Resort is proud to be nominated as Mexico & Central America’s Most Romantic Resort in the 2017 World Travel Awards. This is the first time Coco Plum has been nominated and we are so excited to share the news! Established in 1993, the World Travel Awards rewards excellence in various organizations throughout the travel, tourism, and hospitality industries. These awards are some of the most prestigious and sought after awards in the industry. After a successful nomination, winners are determined by voters around the world. We ask that you please show your support by casting a vote. Voting begins on March 22, 2017 and ends on July 19, 2017 so there is plenty of time to spread the word. If you have not registered with the World Travel Awards, please click on the “Register” link and follow the simple instructions to cast your vote for us. Voting is complete. Thank you!! Be sure to share the link with family & friends. 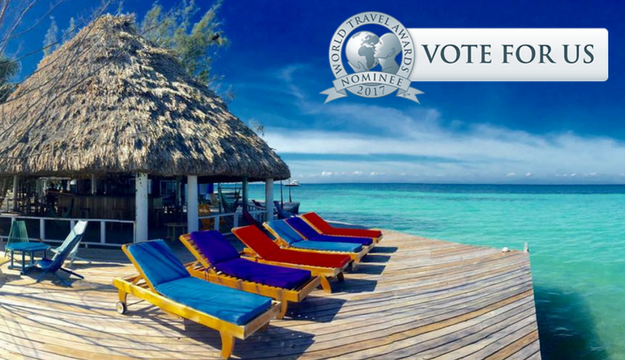 A standard vote carries a weighting of one, while votes cast by verified travel professionals carry a weighting of two. To apply for the upgrade, users are required to complete the Travel Industry Voters section on registration and submit a minimum of 10 votes. Verification is at the sole discretion of WTA. Voting begins on March 22, 2017 and ends on July 19, 2017. As always thanks for your continued support! Let’s show the World why Coco Plum has the best fans! !